Updated Thursday October 18, 2018 by Heather Roberts. Welcome to Home Plate. 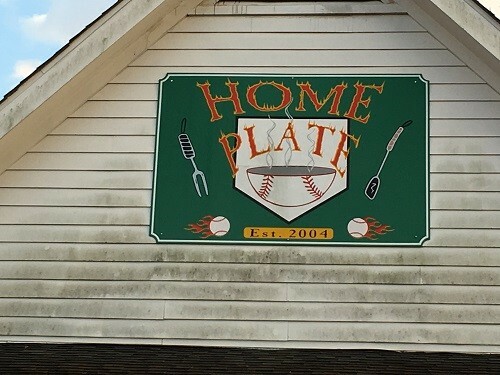 Home Plate is an all volunteer organization. Our Concessions committee helps the teams assigned concessions duty by training them at the opening of the stand each day and they come in to help the teams close down each evening. Each teams concessions shift averages 4 hours which can be broken up into 2 shifts if the team chooses. Each team is responsible for having enough people to work during the team's assigned time and we recommend that you have 2 people work the cash drawers while 2 additional people work in the back of the stand. The stand can work with a minimum of 3 people although it is not recommended and can cause your friends and family to have to wait longer for their order. Please allow customers to enjoy the same experience you do when purchasing items by being properly staffed.